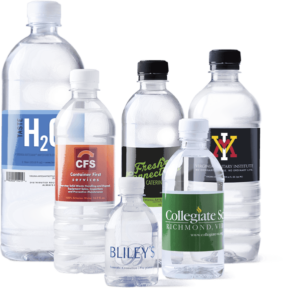 Our Branded Bottled Water program is the complete package for ordering your custom branded water and having it stored and then delivered to your designated clients or business partners. Branded Bottled Water has become a popular and inexpensive way to advertise your business. We see this marketing opportunity as a two part process. One part is the Branded Water and the other part is getting it to your audience. We have combined both to create a service that completes the entire process for you rather than you having to manage the storage of water and run around delivering water to your clients and business partners. 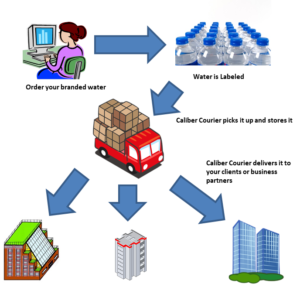 We have made both parts of this as seamless as possible by having a way for you to order the water and then simply place delivery orders in our customer portal all from your computer. Email us or fill out the Contact Form and we will gladly set up a meeting to discuss the process and your needs.